Home » Cover Story » Does Mumbai Have A Solution To India’s Public Transport Problem? Does Mumbai Have A Solution To India’s Public Transport Problem? I read this article and found it very interesting, thought it might be something for you. The article is called Does Mumbai Have A Solution To India’s Public Transport Problem? and is located at https://archive.indiaspend.com/sectors/does-mumbai-have-a-solution-to-indias-public-transport-problem-57053. 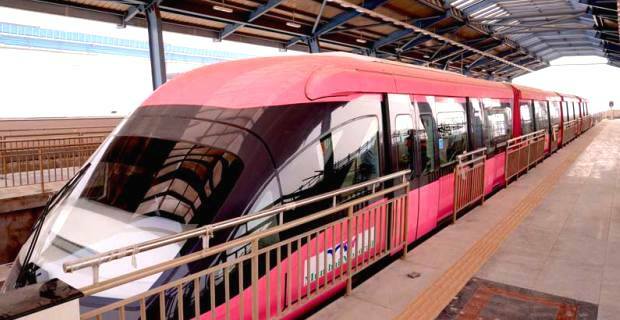 After much delay, Mumbai city finally got to see the monorail in action this week. The monorail, which is only half complete is one of the many new public transport networks that are being built in the city. While a monorail ride could be a fun way to spend a Sunday afternoon, the larger question is does this project serve the larger purpose of creating a viable public transport alternative ? Particularly since the monorail has already come in for criticism for being a realtors dream. Mumbaikars may or may not agree but the fact is that India’s commercial capital already scores over most other cities in India. Let’s look around the country. Delhi’s metro is already seen as a success with over 2 million passengers using it. It is also credited with reducing road congestion. Bangalore’s metro has also become operational though in a small way so far. A number of other cities – Hyderabad, Jaipur and Kochi among them – are also getting metro rails of their own. So is the battle being won? Let us look at one factor: private vehicle ownership (2-wheelers and cars) state-wise, which shows a very high correlation to two variables – per capita income and the level of urbanisation. For now, the trend is clear – as urbanisation (and incomes) of a state increase, so does two-wheeler density. As you can see in the graph below, the National Capital Territory of Delhi has the highest two-wheeler density in the country with 278 two-wheelers for every 1,000 people. After Delhi, Tamil Nadu has the second highest two-wheeler density with 192 two-wheelers for every 1,000 people. Other states with high two-wheeler density are Punjab, Haryana, Karnataka, Gujarat and Maharashtra – all high income and highly urban. While states like Uttar Pradesh, Bihar and West Bengal have very high population, they have very low urbanisation (and incomes as well). These three states represent almost one-third of India’s population. So, as India becomes more prosperous and urban, an increase in the number of vehicles on the road is inevitable. India currently has approximately 100 two-wheelers on roads for every 1,000 people. For neighbour Sri Lanka, the figure is 127. It goes up to 251 for Vietnam and 331 for Malaysia. While the density of cars in India is low at present, it should also increase as incomes go up. Apart from traffic congestion and pollution, petroleum consumption is another issue due to the increasing ownership of vehicles. All these vehicles run on petrol (or diesel in case of some cars), which is produced from crude oil/petroleum of which India has precious little. During 2013, India overtook Japan to become the third largest importer of petroleum in the world after the US and China. Our average daily crude oil imports stood at 3.86 million barrels/day. Crude oil forms the single largest head in India’s import bill, and is primarily responsible for our trade deficit. Subsidy on petroleum products is also one big concern for the Government in balancing its books. However, there does seem to be one reason for hope. One of the outliers is the state of Maharashtra. The urbanisation level of Maharashtra is at par with Tamil Nadu – amongst the highest in the country but the number of two-wheelers is far lower. For anyone who has travelled to Mumbai, the reason is obvious – for a long time, Mumbai has been the only major Indian city with a functional, though overloaded, mass transit system – the local trains, which ferry over 6 million people/day. This has reduced the need for owning private vehicles in the city, which is obvious when Mumbai is compared to other large Indian cities. Mumbai has just 61 two-wheelers per 1,000 people as against 285.7 for Delhi and 300+ for Hyderabad, Chennai and Bangalore. The other large cities in Maharashtra – Pune and Nagpur – also have very high two-wheeler densities. In fact, Nagpur, which is barely a seventh of Mumbai in population, has nearly the same number of registered two-wheelers. Clearly, local trains seem to have made a big difference to Mumbai over the decades. Even in the case of Delhi where the metro-rail has been operational for some years, the two-wheeler density is less than other metros like Bangalore, Hyderabad and Chennai. Hopefully, this divergence will become more pronounced as the metro-rail network is expanded further in terms of route length and services, and becomes more established. For policymakers, the lesson should be obvious – large cities should be going for mass transit systems, no holds barred.